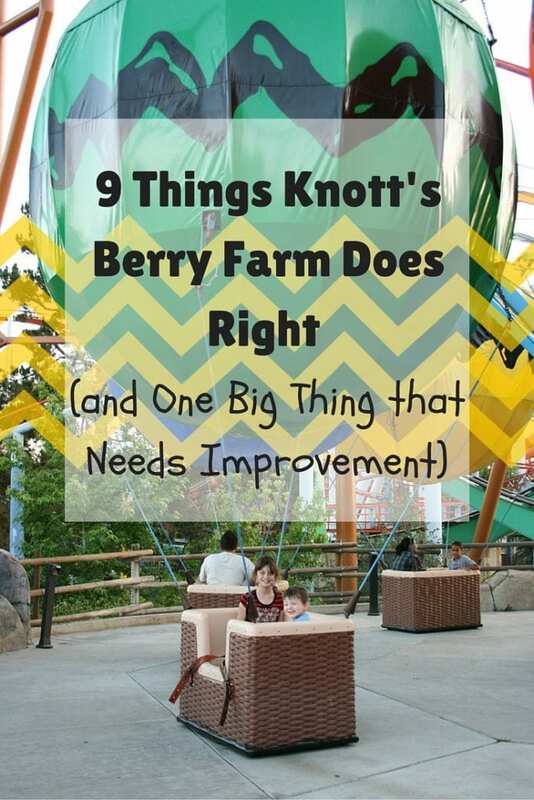 There are lots of things that Knott’s Berry Farm does right, including being a good value, offering lots of hearty food choices (boysenberry pie, anyone?) and satisfying thrill seekers with high-speed coasters. As a longtime visitor, there is one big thing that I’ve seen over the years that needs improvement. 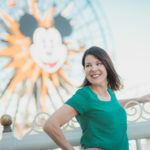 I’ll give you some ideas on how to maximize your Knott’s Berry Farm day and work around what could potentially cause meltdowns in your youngest family members. 1. Low prices & discount tickets – The cost of taking your family to an amusement park can be prohibitive but tickets to Knott’s Berry Farm are very reasonably priced. You can receive discounts by purchasing tickets in advance through Undercover Tourist. 2. Wide variety of foods – Not only can you dine at Knott’s world-famous fried chicken restaurant, there is also Mexican food, pizza, ribs, fresh salads and sandwiches and the usual burgers and fries. The All-Day Dining Pass is quite a deal and allows access to six different quick-service restaurants for under $32 per person for the day. 3. 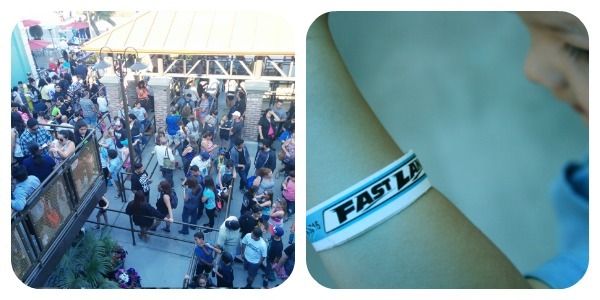 Fast Lane Pass – This wristband allows “fast lane” access to the 12 most popular coasters in the park. You can jump the line as many times as you want throughout the entire day. There is an additional charge on top of your park admission for this special band but if you hate standing in queue, than the extra cost will be worth it. 4. Boysenberries on everything – Knott’s invented the boysenberry and they proudly serve it throughout the parks and restaurants. Pie, muffins, syrups, jellies, Icees, funnel cakes, lattes and juice all have that delicious and unique fruit. 5. Fast coasters to satisfy thrill seekers – Want to drop a record-breaking 252 feet, zip 82 mph and turn loops six times in less than a minute? You’ve come to the right place if you love speedy coasters or stomach-churning thrills. 6. 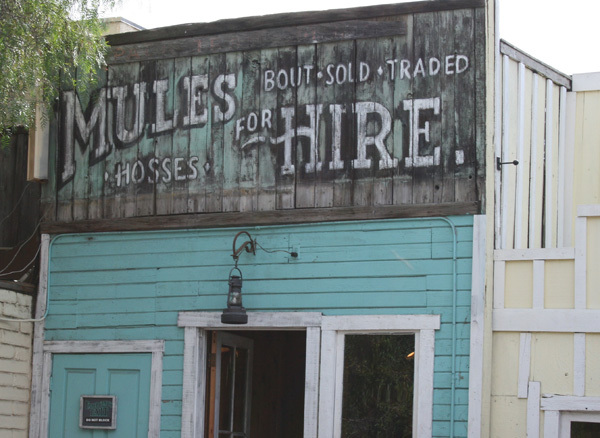 A step back in time – Visit an authentic old schoolhouse. Learn how to pan for gold. Enter real ghost town buildings that Walter Knott moved to this location in the 1940s. Live entertainment including the stunt-packed Wild West Show are appropriate for everyone in your group. 7. Seasons of fun – The springtime Boysenberry Festival, exclusive entertainment during the summer months, Knott’s Scary Farm at Halloween and a transformation to Knott’s Merry Farm during the winter makes this a fun place to spend your holiday breaks. 8. 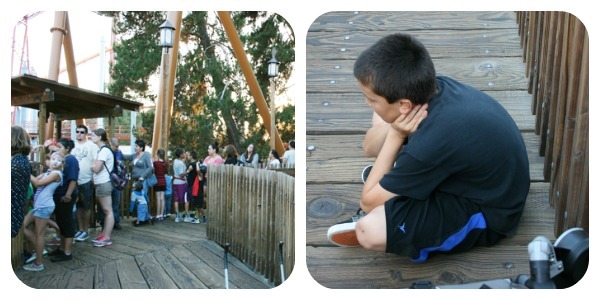 Special needs pass – Knott’s offers a special needs day pass similar to the Disability Access Service at Disneyland. Guests check in at the ride and are given a return time to come back and enter through an alternate line (usually through the exit). Read up on other ways to help special needs children have a great day at amusement parks. 9. Rides and attractions for everyone – From the fastest thrill rides to attractions just for the littlest guests, Knott’s Berry Farm really does have something for every age. 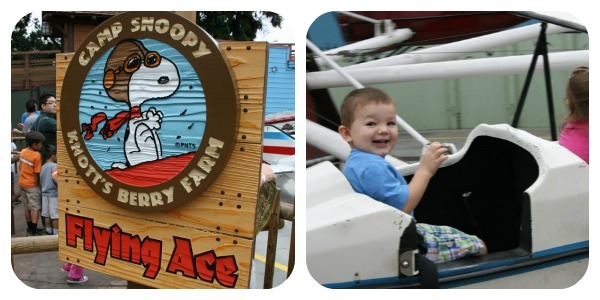 Camp Snoopy is perfect for young children. There are thrill rides for upper elementary and adults. Family rides and shows are spread throughout the park. However this brings me to the one BIG thing that needs improvement. While there is a Fast Lane Pass for quick access to the front of the line on some of the fastest coasters in the park, the lines in the Camp Snoopy area move slower than molasses. The problem lies in a major lack of employees. Each ride is assigned only one employee. This single person opens the gate to let guests inside, checks height requirements, double-checks the seat belt on every passenger, checks the gate to make sure it’s locked, signs off on Special Needs passes and also starts & stops the ride. That’s a lot of walking around for one single person and that adds up to VERY long wait times. In an area that caters to the smallest guests, waiting in line for up to an hour for a two minute ride makes everyone cranky. We’ve experienced this issue many times over the years, through different times of the year and each time hope that the situation has improved. Perhaps Camp Snoopy can make-do with one employee per ride during slow times of the year or mid-week, but on the last two Saturdays we’ve visited, each ride still only had one employee working and we waited an average of 30 minutes for each of the rides in this area. My 11-year olds were able to use their Fast Lane Pass to access the speedy line on the coasters but there is nothing that can be done to avoid these tremendously lengthy waits for the younger set in Camp Snoopy. On our last ride of the day, the Balloon Race, we waited in line for nearly one hour. I watched as the single employee operating this ride ran through the check list of jobs, which also included taking photographs of guests inside their balloons (there was a groan from the waiting crowd at that request). It was nearly ten minutes from the time the guests were let inside until the ride actually started. We were so annoyed after this long wait in the sun that we left the park early to get dinner and drive home. How can you help alleviate some of the line waits in this very popular section of the park? Arrive early and stay late as lines will be considerably lighter right when the park opens or just before closing. 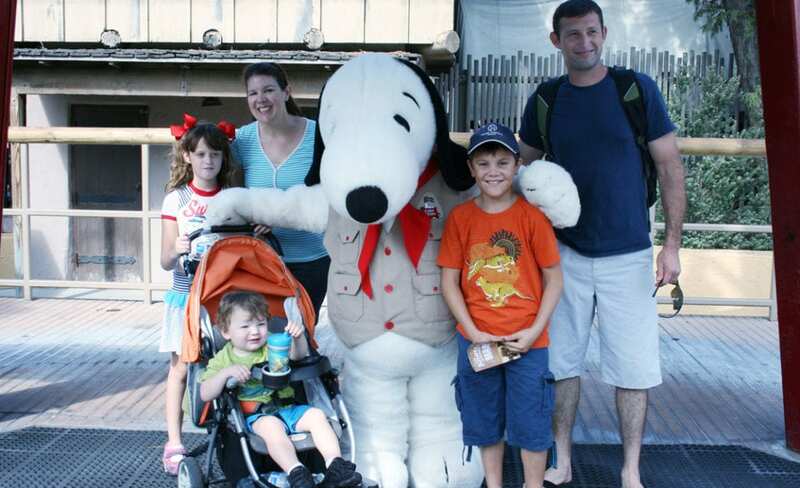 If you only have little ones in your group, Camp Snoopy will probably be the area you spend the most time in. There are other rides and attractions that are appropriate for young kids and families throughout the rest of the park. 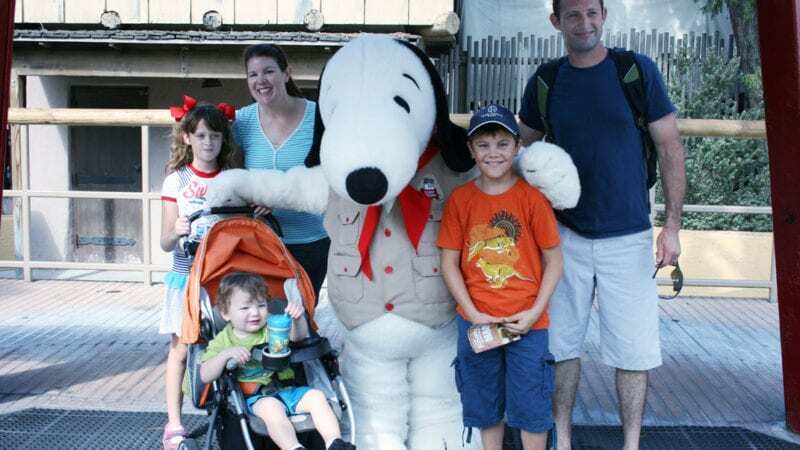 Visit Camp Snoopy first thing in the morning, then tour the rest of the park, see shows, dine or make a visit back to the hotel for a swim in the afternoon. Return to the Camp Snoopy area in the evening and stay until the park closes. If you have two adults in your group, take turns standing in line while the other explores the area with your little one (let the people in line behind you know that you’ll be having your family return to the line when you’re close to the front so nobody is upset about “line jumping”). 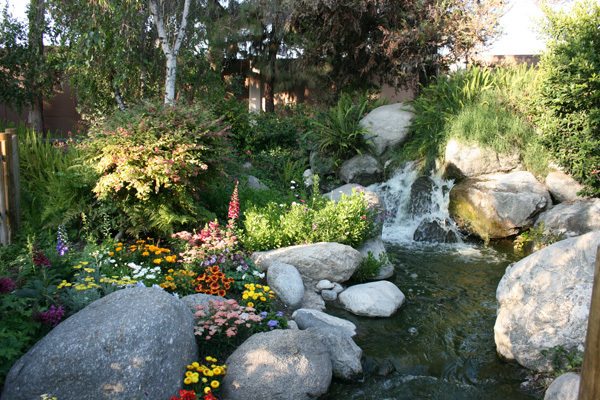 There are some fun little areas in the Camp Snoopy area that kids like to look at including a brook of running water and bridges. Have you every experienced an issue that needs improving at an amusement park? Share with us in the comments and tell us how you were able to work around the problems. Previous Post: « SWA Schedule Through Mid-2016: Book Spring Break and Memorial Day Travel Now!